Being a full-time stay at home mom definitely has its perks, style wise. I can rock my yoga pants almost daily, and my face hardly needs anything more than a touch of foundation and a swipe or two of mascara. At times, however, I do miss getting dressed professionally, putting on makeup, and heading out the door to work. My daughter has recently been loving nail polish and it’s reminded me how much I loved dawning a fabulous color on my nails. It’s that special touch that always made me feel ‘put together’ even if I was in yoga pants and barely there makeup. I’m ready to get back into the nail routine and am bringing my daughter along for the ride. 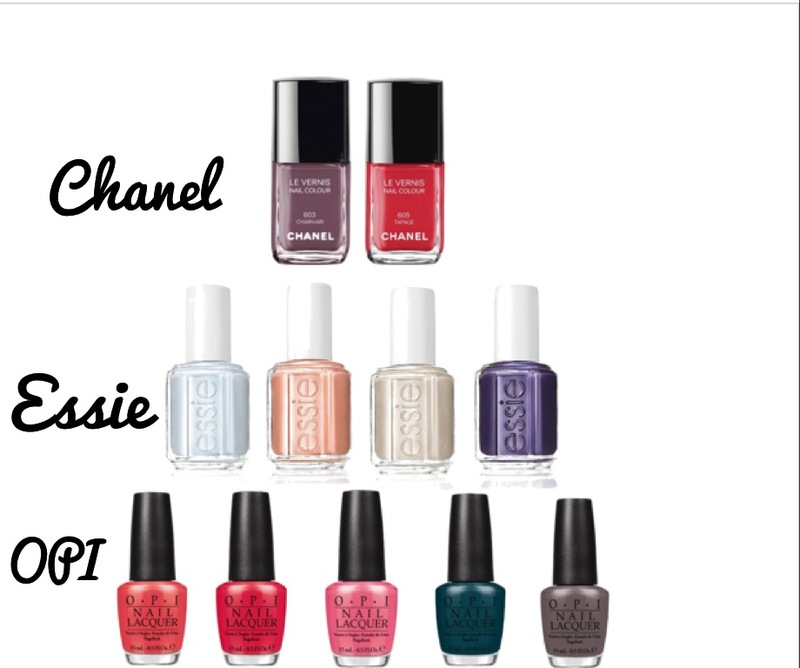 Chanel, Essie, and OPI have always been favorites. The beloved I’m Not Really a Waitress from OPI is my go to color! I’m loving these new colors and can’t wait to get back into a nail routine. With a super busy husband and a stern belief that the fumes in a nail salon are way too much for a toddler, it’s difficult to schedule a visit as often as I’d like. Emily, from cupcakes and cashmere, gives a fabulous tutorial on her blog on how to give yourself the perfect 10 Minute Manicure. OPI: Kiss Me I’m Brazilian / Red Hot Rio / Live.Love.Carnaval / I Just Can’t Cope-acabana / OPI Scores a Goal!